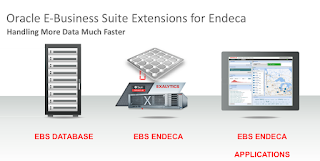 Oracle Human Resources Extensions for Oracle Endeca enables you to identify, measure, prioritize and resolve your day to day HR related business processes or help in formulating strategic decisions. In addition, you benefit from an improvement in the productivity of HR administrators and line managers, reduce repetitive search actions and result in a seamless completion of business flows. You can use the Workforce Explorer page to search employees by leveraging quick search and guided navigation capabilities. HR users can analyze and interpret person data with the aid of key metrics, maps, tags, flexible charts and graphs. It also provides the ability to navigate to employee personnel actions for performing HR transactions. 1.Find actionable information in real time. 3.Quickly find the information they need to respond to real-time HR issues and opportunities. and filter information without predefined navigation paths or structured queries. 1.Search people effectively and accurately. 2.Use filters to narrow search results. Geo spatial and Tag Search. 5.Export or print search results. 1.See more and act faster. 2.Tight integration with HR Security. or geographical areas on a map.